Do you know what I like to do on Saturday mornings? I like to read blogs with a warm cup of tea in hand. Lipton tea with milk. And one packet of Equal. I’m always so happy when my favorite blogs share a new post on a Saturday morning. something new they can sit back and enjoy in their quiet Saturday morning house. With a warm beverage in hand. Perhaps with a snoozing pet curled up next to them? And I’m calling these Saturday morning posts Paint’s Chips. In what feels like a million years ago, I started a second blog. It was going to be all about paint-related features. I’m not sure why I felt it needed to be on a separate blog. Why not just do that here, on It All Started With Paint? And I tried to find the link to that Paint’s Chips blog, but can’t find it anywhere. I think the powers that be at Blogger saw no activity and pulled me off the air. Although I’m calling my Saturday morning posts ‘Paint’s Chips,’ it’s not always going to be about paint projects. I plan to share a little of this. A little of that. Things that caught my eye. Made me think. Inspired me. 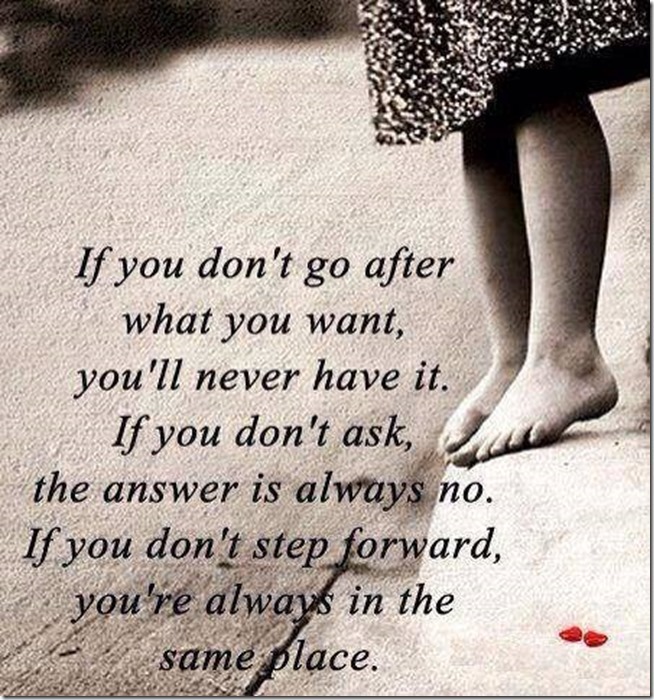 And with that said, let’s start with a little inspiration. I spotted this on Facebook a few months back and it really spoke to me. Which says a lot, because I am not the inspirational quote type of person. Truth be told, I’m more of a make fun of the inspirational quote type of person. But this one rang true. Especially in light of my recent decision to focus on what I love to do in 2015. 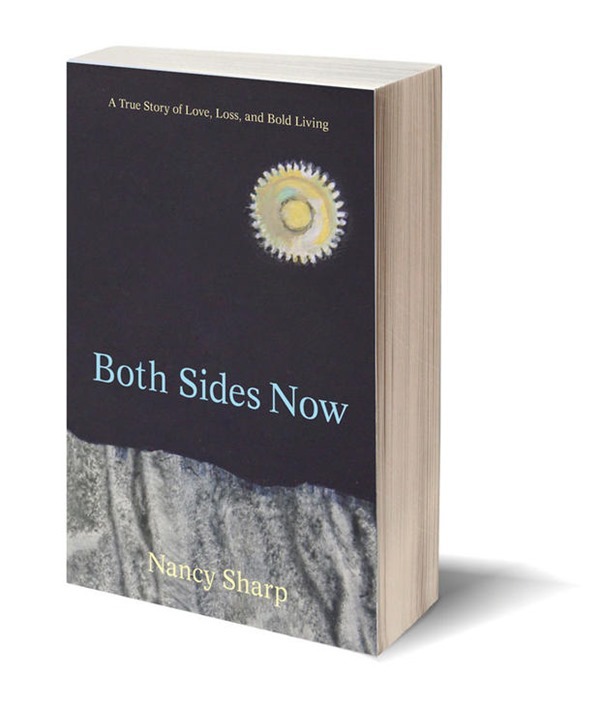 The very same Nancy Sharp has also written a memoir, Both Sides Now. It reads like a moving love story to her first husband; a husband she lost to cancer at a very young age. and yet behind that perfect, beautiful exterior, she was struggling with hardships beyond anything I have ever experienced. Her inner beauty and strength shine through. As an aside, the song Both Sides Now has always given me goose bumps. Hauntingly beautiful; much like Nancy’s book. What the….. I kept clicking that link and my blog kept coming up. Is this a trick where you click the link and your own blog comes up? If it is, I would like to know that trick! Happy Saturday, Linda! I’m doing that right now. Reading blogs and drinking my coffee. I’m a regular stalker, er…reader… and I’m excited for your little Saturday postings! Reading blogs is my wake-up time on Saturdays, and yours is a regular (I’m typically catching-up from the week at this point). I especially love that you live in Chicago, since I was born and lived there til age 8, moved away, and am now living my adult live in the ‘burbs surrounding the city. 🙂 I still fancy the city as some special culture spot I need to explore more, so I live vicariously through you in some of your city-dwelling posts. Keep up the amazing work; I’m excited to see what you’re up to in 2015! Thanks for introducing me to Kirby. Love her fun and witty blog. New follower of hers. I sit here reading your blog, having a cup of coffee with a snoozing dog by my side. 🙂 since I’m not a morning person I have to ease into my mornings. That’s a great start to your Saturday posts! I found lots of food for thought in her article and am following her now. Thanks. It might be Sunday morning, with my coffee and the pup who needs more sleep after sleep curled up next to me, but you would be one of my favs.